Lime leaf chicken with sweet chilli sauce (main course) - home cooked food delivered. 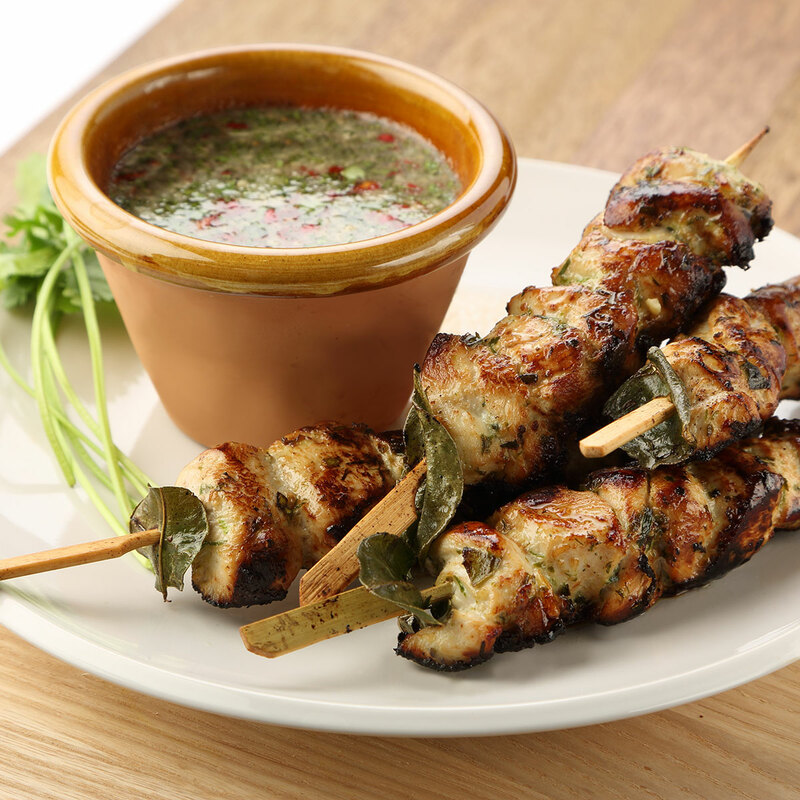 These wonderful skewers feature tender, marinated chunks of chicken breast and kaffir lime leaves, with a uniquely sweet and refreshing chilli dipping sauce. Simply char-grill these luscious delights for a healthy, wonderful main course. Lime leaves, garlic, fish sauce, honey, spring onions, vegetable oil, chicken breast. Dipping sauce: rice vinegar, caster sugar, coriander, red chilli and roasted nuts. Either chargrill or oven bake on high for 12- 15 mins. Ensure product is piping hot before serving. Keep refrigerated and use within 3 days, or freeze immediately.